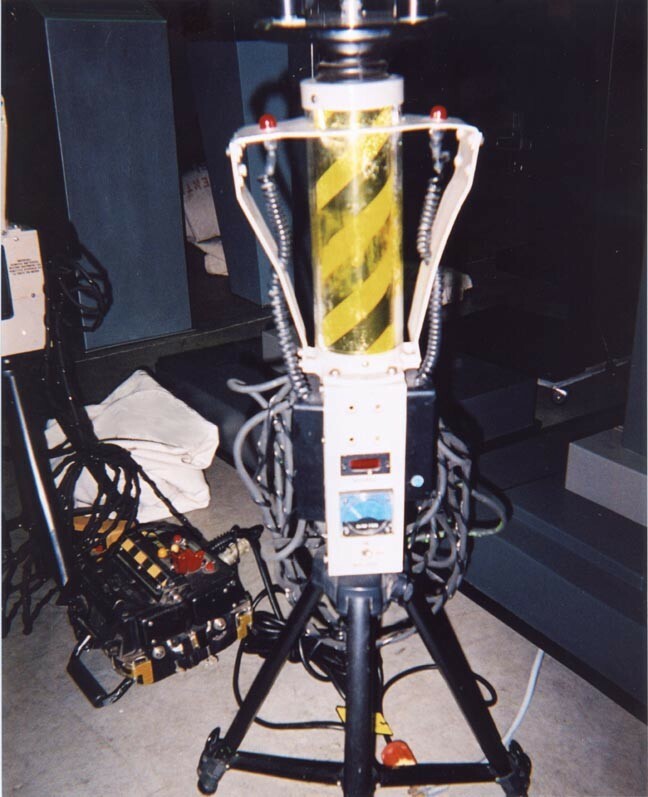 In Ghostbusters II, the Tripod Traps are briefly seen during the montage. Commonly thought of as "traps", they appear to dissipate psychic disturbances rather than actually trap ghosts. In the scene, the Ghostbusters enter a china shop and find expensive crystal artifacts floating in the air, a situation described by Harold Ramis as a "straight polarity reversal" in Cinefex #40 (pg. 22). When they switch on the Tripod Traps, the anti-gravity field is nullified, and the crystal objects crash down. In reality, the Tripod Traps were built and owned by Modern Props (who supplied many of the secondary props for GB2). Having appeared in numerous TV shows and films, the Tripod Traps do not appear to be in stock at Modern Props anymore.